TThe Aversa+ from DVS Shoes is a performance vulcanized skate shoe. This core style is made with suede and canvas uppers on our durable rubber Flex Feel outsole technology for the ultimate board feel. Our Vaporcell LS sock provides amazing comfort while the reinforced suede upper promotes extend wear. Energy Fit secures the tongue straight and to fit. The Aversa+ brings together form and function to make the perfect core skate shoe. Thin padding allows for a great form-fitting upper. Clean one-piece toe prevents stitch blowouts . Lightweight EVA footbed for a confortable ride . 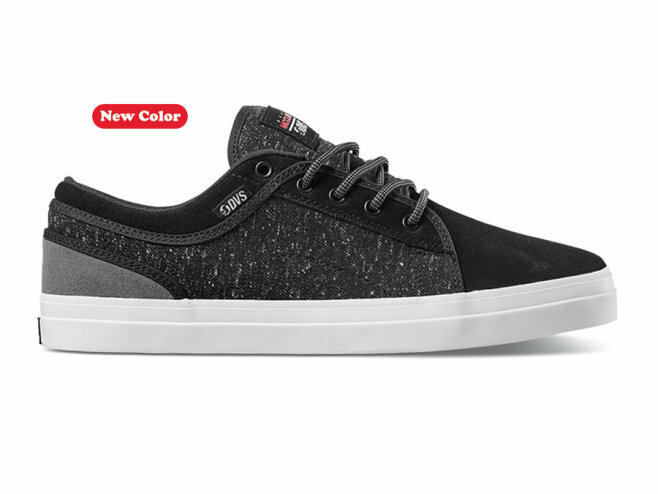 Vulcanized outsole with deep herringbone tread for ultimate grip . Textile and suede upper materials.